2. 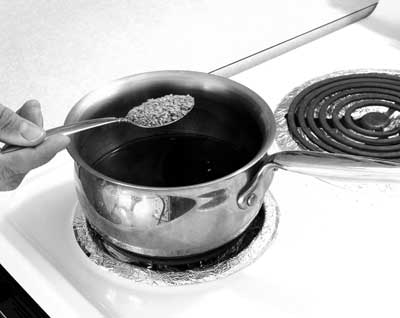 Mix flax meal together with 1-3 tablespoons of charcoal powder. 5. 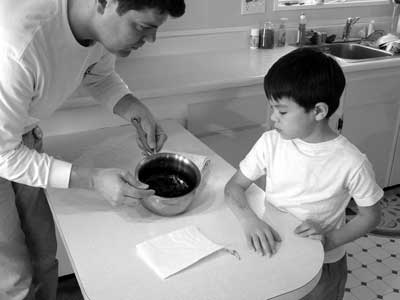 Spread the jelly evenly over an appropriate size cloth or paper towel. 6. Cover the jelly with a second cloth or paper towel. 7. Position poultice over the area to be treated (i.e. - liver, stomach, kidneys, spleen, knee, eye, ear, sting or bite area). 9. Finish off by bandaging or taping the poultice securely in place. Leave it on from 2-4 hours, if applied during the day, or better yet, overnight. After 6 to 10 hours another poultice can be applied. Note: Poultices of any kind only work if there is continuous moist contact with the skin. This poultice, without any thickening agent, is a variation of the one described above. Consequently the charcoal may dry out more quickly and will need to be changed or remoistened. 1. Mix charcoal (1 to 2 Tbs.) with a little water to form a wet paste. It should be moist but not crumbly or drippy. 2. 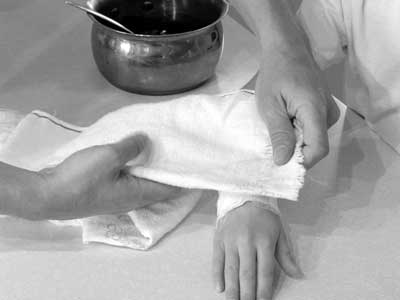 Spread the paste on one half of a folded paper towel, loosely woven cloth, or piece of gauze cut to fit the area to be treated. 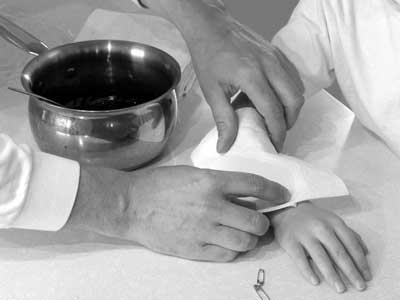 When ready the cloth should be moist, and thoroughly saturated with the paste. 3. 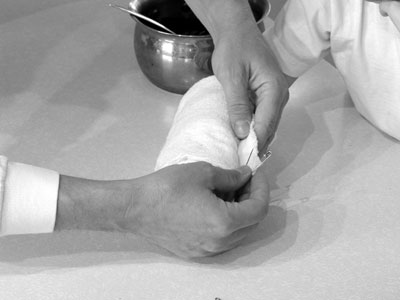 Then cover the paste by folding over the other half of the paper towel or cloth. 4. Next place the charcoal poultice on the affected body part making sure it completely covers the area. 5. 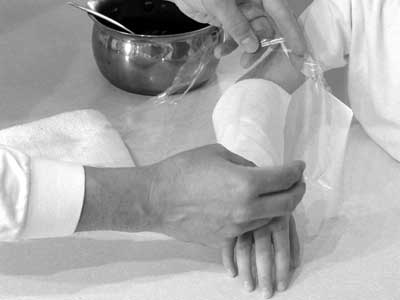 Cover the poultice with plastic (when available, plastic food wrap works fine) cut to overlap the poultice by an inch on every side. This will keep it from drying out. 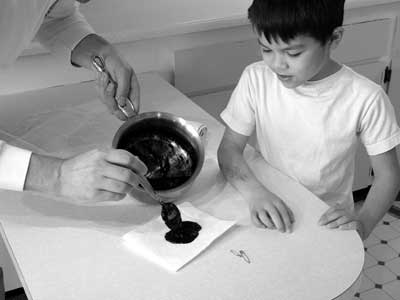 If the charcoal dries out, it will not be able to adsorb. 6. 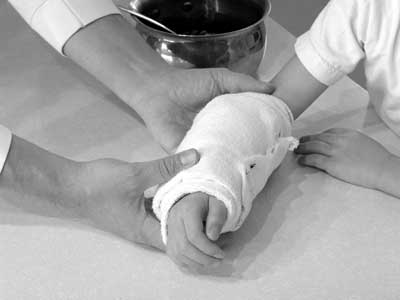 Finish off by bandaging or taping the poultice securely in place. Leave it on for several hours, or better yet, overnight. After 6 to 10 hours another poultice can be applied.